I planted the potatoes Sunday. 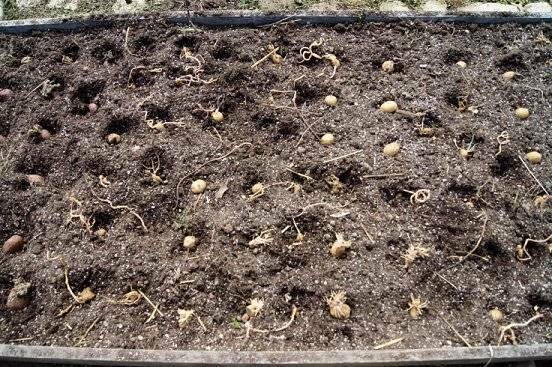 I first laid the potatoes out on top of the soil mix, then went back and pushed them down into the soil mix till they were completely covered with soil. Some of the potatoes had already sprouted, I cut some of the seed potatoes in half, making sure each piece had at least one eye on the piece of potato. All around the edge of the raised potato garden I planted onion sets. 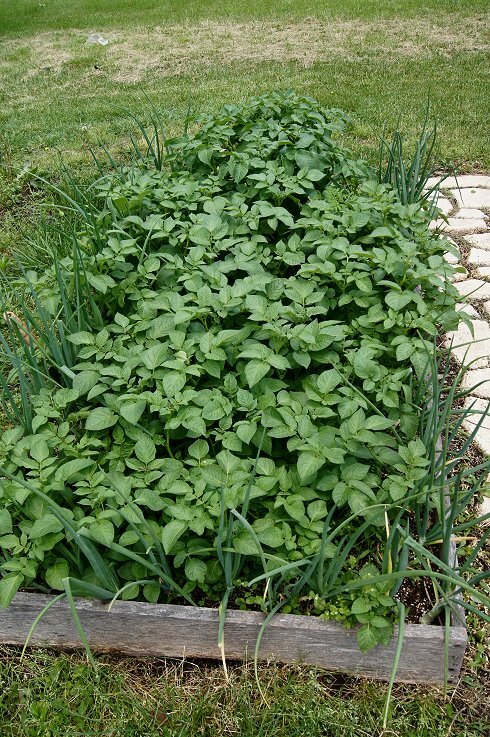 Onions deter potato bugs, so if your growing potatoes, plant onions next to them. The potatoes and onions are growing great!